Earthquakes, hurricanes, raging fires, tsunamis—these extreme weather events are typically the natural disasters we think of that can be devastating, causing extensive damage. 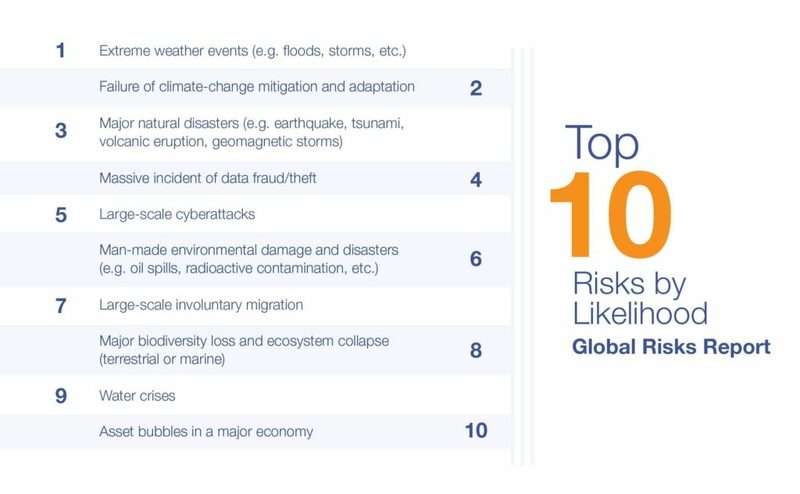 Yet, data fraud/theft and large-scale cyberattacks were identified among the top five global threats in the latest World Economic Forum’s Global Risk Report. 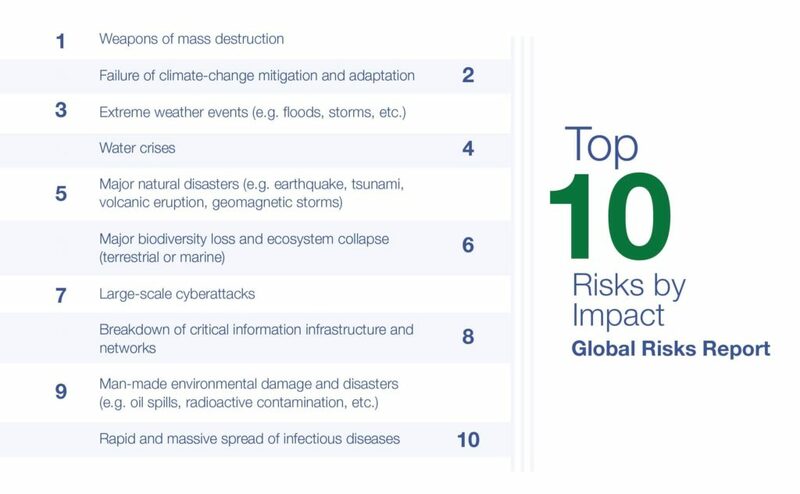 The report offers a unique perspective on the threats with the biggest impact that are facing our world. “Of all risks, it is in relation to the environment that the world is most clearly sleepwalking into catastrophe,” the report warns. Establish a “do not track” option for people using online services. In lieu of allowing their search history, social media favorites and online activity to be sold to advertisers, people could opt to pay an unspecified fee to preserve their privacy. Authorize the FTC to establish privacy and cybersecurity standards and require big companies to report annually on their privacy practices. Require companies to assess their algorithms for accuracy, fairness, bias and discrimination. Eighty-four percent of security professionals and auto engineers surveyed worry that automakers aren’t keeping pace with the rapidly changing security threats. 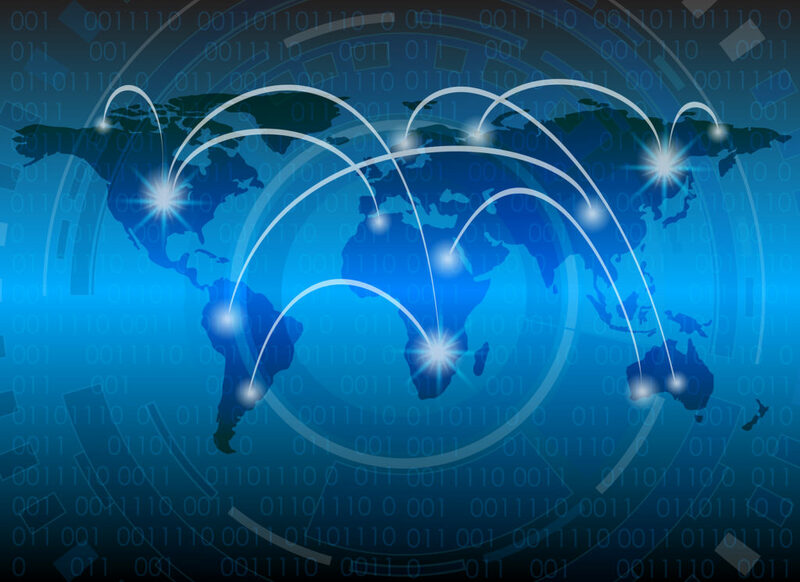 Even more surprising, 63 percent of respondents said they test less than half of hardware, software and other technologies for vulnerabilities. This leaves the rest untested and exposed. “Unauthorized remote access to the vehicle network and the potential for attackers to pivot to safety-critical systems puts at risk not just drivers’ personal information but their physical safety as well,” the study found. And in other news affecting consumers, there’s a new Google tool that tells you if your password is unsafe, letting you know when your login information is exposed. CNN writes about the newest Password Checkup extension, which will monitor a user’s various website logins. According to the article, “when someone logs in with a username and password that Google knows has been compromised, it triggers a warning that prompts the user to change the password.” How it works is it cross-checks the login credentials against a regularly updated database of more than four billion username and password entries.